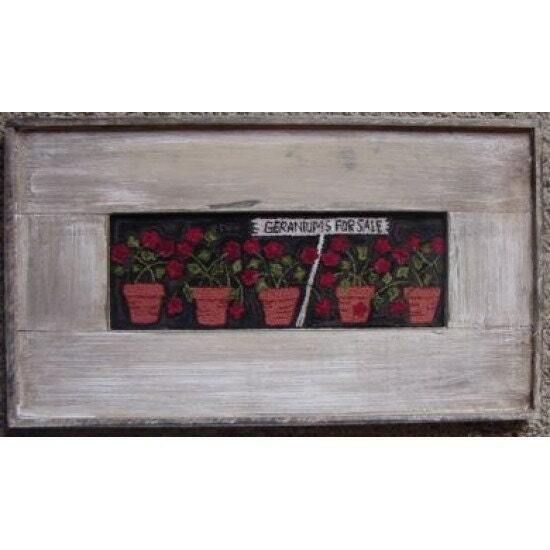 Thread kit and pattern called "Geranium For Sale" punch needle created by Primitive Gatherings. The pattern comes with the designed stamped on the weavers cloth, it measures 3 3/4"x 11". This kit includes the threads as well. 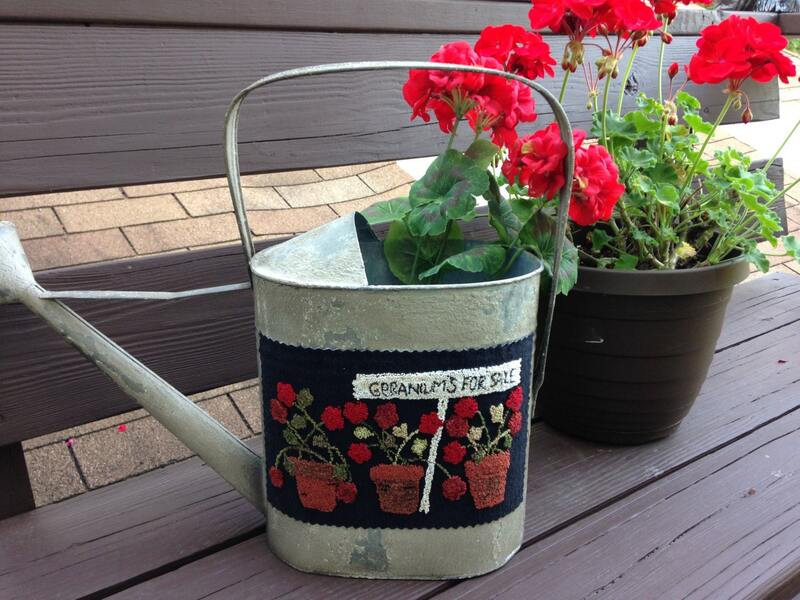 It looks great adhered to a watering can when finished too!! !